Leicester: Christian Benteke ended a 14-match goal drought with a 19th minute header for struggling Crystal Palace in their Premier League victory against Leicester City on Saturday. 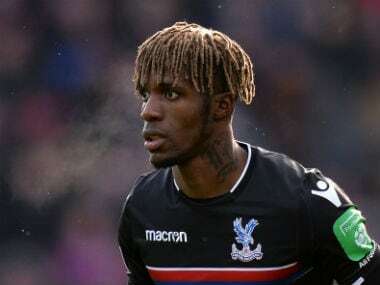 It was Palace's first away goal of the season and they went on to win 3-0 – Benteke creating the second for Wilfried Zaha – to move out of the bottom three. The 27-year-old Belgian international striker owed his team-mates a goal after controversially missing a last-gasp penalty he should not have taken in last Saturday's 2-2 draw with Bournemouth. 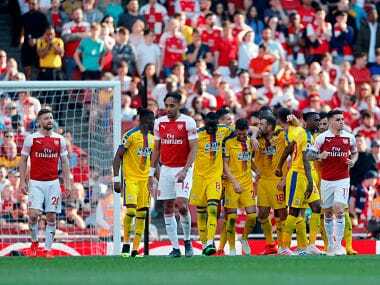 Last week, Benteke – who should have allowed Luka Milivojevic to take the spot kick as the Serbian had scored a penalty earlier in the match – apologised to his team-mates and manager Roy Hodgson, admitting he had let them down. 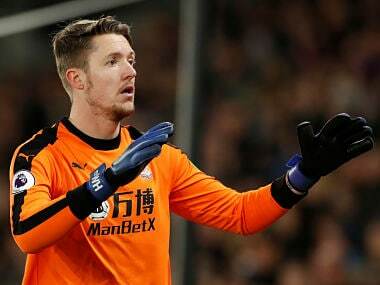 However, the former Aston Villa and Liverpool striker denied his goal on Saturday was a means of repaying his team-mates for the penalty incident. "Not owed something because we are a team but I just wanted to show that I'm always involved and I will do everything to get back on my form," Benteke told Sky Sports. "I've been really patient, I've been through a hard time but I'm a big believer and I really work hard. I just got what I deserved to get." Hodgson, whose side have improved so much under his aegis that for the first time in their history they have gone seven games without defeat in the Premier League, praised Benteke but rued the fact he will miss the next game against Swansea because he is suspended. 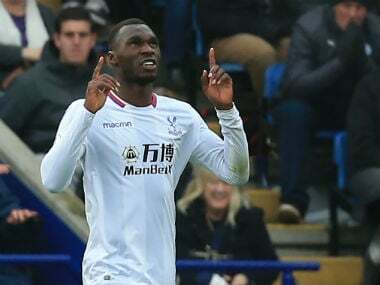 "I think it (the goal) will do a lot for Christian Benteke's confidence, and the crowd really got behind him today, they appreciated his work rate too, and that was fully deserved," Hodgson told Sky Sports. 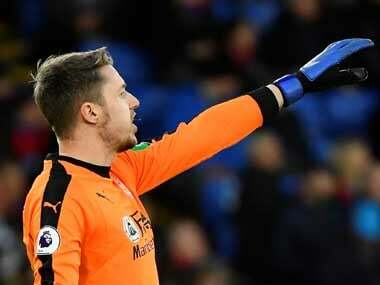 "They were singing his name which was fantastic because after missing the penalty he perhaps rightly, many people were saying, got some stick from the crowd. "But on this occasion they've turned very quickly singing his name and that was fully deserved. "I am surprised though he has picked up five yellow cards (earning the suspension) because he is a gentle giant, so I'd love to know how he picked up the previous cards." On the pitch Benteke gave the perfect riposte by creeping in between Wes Morgan and Danny Simpson to head home Andros Townsend's cross and then stuck his fingers to his ears by way of celebration.